Lime peel is the skin of a lime, usually grated, used to provide a bitter or citrus-y taste to various dishes, usually desserts. Lime peel is the green outside skin of the lime fruit. You can actually peel it off with a sharp knife. Choosing: Look for fruit that is firm but not hard with a fairly smooth skin. Whole limes should be free of blemishes. Some yellow patches are OK, but mostly green is desireable. Buying: Limes are widely available in supermarkets and from fruit stands. Procuring: In temperate climates, limes are easy to grow, small/dwarf varieties can be grown in containers indoors. Leave fruit on the trees until use as they will not rot and can be stored there much longer. Since most lime trees produce large quantities, people who have them are usually willing to give away excess fruit, but be sure to ask before taking from a tree on someone else' property. Look for fruit that is firm but not hard with a fairly smooth skin. Whole limes should be free of blemishes. Some yellow patches are OK, but mostly green is desireable. Cleaning: Some stores coat limes in a protective wax or oil, if using the peel this should be removed by washing in cold water. 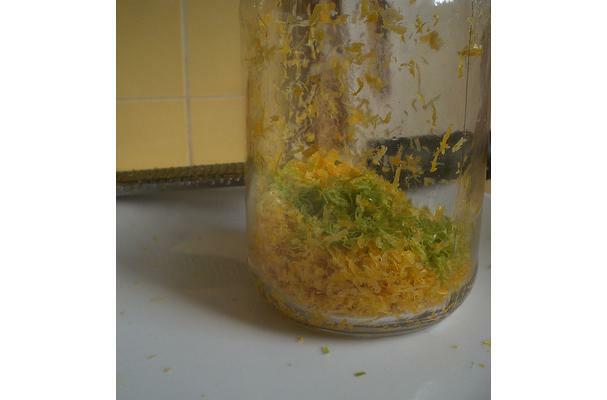 Lime peels can be dried and candied with sugar. Simply place in side a container and cover with sugar until use.